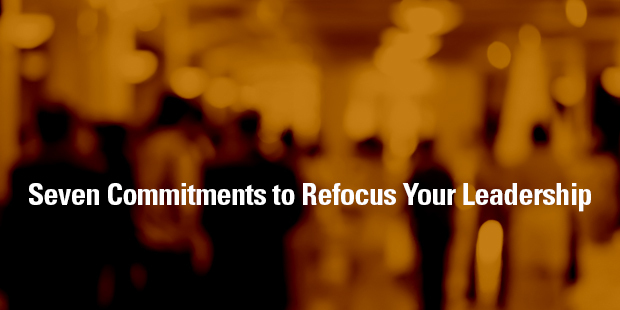 I see the New Year as a time for recommitment and re-focus. And though it is simply the changing of the page of a calendar, it is still a good time to be reminded about those areas that are most important in our lives. With that in mind, I have seven suggestions for church leaders. Consider these seven resolutions to be statements of renewal. Ask others to keep you accountable. Above all, ask God for the wisdom, strength, and perseverance to move these commitments of renewal to reality. A commitment to move beyond the inward drift in our church. 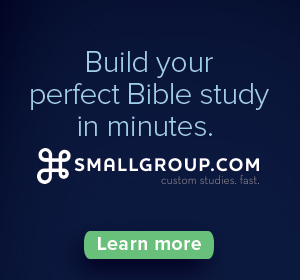 It does not take long for a church to lose its outward focus. It does not take a long time for the tyranny of the urgent to replace the priority of the important. It does not take a long time for most ministries and activities to be focused inwardly instead of outwardly toward the community we serve. A commitment to renew our attitude. Leading a church is tough. Church members can be critical and demanding. But God has called us to serve in the messiness of life and people. We all can use renewal of our attitude toward others and towards our life situation. A commitment to become a more grateful leader. It can be natural to focus on the negative, the naysayers, and nitpickers. But we need to turn to prayer and ask for supernatural help in focusing on all the blessings God gives us. A review of Philippians 4:8 would be helpful as well. A commitment to be a leader of greater faith and courage. Again, this commitment cannot be realized in our own strength and power. But we can do all things through Christ who strengthens us. A commitment to be the leader who realizes our family is our first line of ministry.We seek not to fall into the trap of putting family in opposition to church. First Timothy 3:5 is a clear reminder that our families are our first line of ministry. We can’t be blessed in the totality of our ministry if we are lacking there. A commitment to clear the church of clutter and activities. By clutter, I mean all the ways we keep our members busy. We are often expecting our members to participate in so many activities that we implicitly discourage them from caring for their families, their health, and their ministries. A commitment to be an Acts 6:4 leader. If we are not giving focused attention to prayer and the ministry of the Word, we need to get out of vocational ministry. Ministry has become human-powered rather than God-centered. I remain an obnoxious optimist about the local church. I see God working in so many great ways. I have no reason to believe 2017 will not be a great year for our congregations, especially if our leaders are willing to make these commitments of renewal. Learn more about developing your own leadership this year – connect with an Auxano Navigator. > Read more from Thom. Thom Rainer is the president and CEO of LifeWay Christian Resources. Prior to LifeWay, he served at The Southern Baptist Theological Seminary for twelve years where he was the founding dean of the Billy Graham School of Missions and Evangelism. He is a 1977 graduate of the University of Alabama and earned his Master of Divinity and Ph.D. degrees from The Southern Baptist Theological Seminary. In addition to speaking in hundreds of venues over the past 20 years, Rainer led Rainer Group, a church and denominational consulting firm, from 1990 to 2005. The firm provided church health insights to over 500 churches and other organizations over that period. Rainer and his wife, Nellie Jo, have three grown sons: Sam, Art and Jess, who are married to Erin, Sarah and Rachel respectively. The Rainers have six grandchildren: Canon, Maggie, Nathaniel, Will (with the Lord), Harper, and Bren. 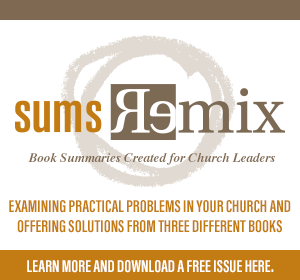 He is the author of twenty-four books, including Breakout Churches, Simple Life, Simple Church, Raising Dad, The Millennials, and Essential Church. His latest book, Autopsy of a Deceased Church, was released in 2014 by B&H Publishing Group. <? $link = get_permalink($comment->comment_post_ID); ?> Thanks Thom, You’re exactly correct. Now how about some solutions when confronted by one of these wayward actors? <? $link = get_permalink($comment->comment_post_ID); ?> This is hilarious. Well done! Three effective ways to start moving toward clarity right now.